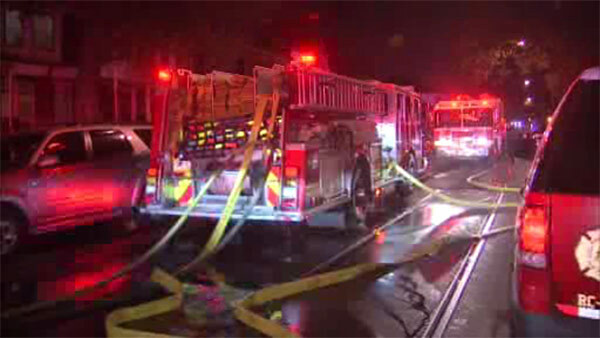 WEST PHILADELPHIA (WPVI) -- Firefighters battled a house blaze in West Philadelphia. The fire started around 9:50 a.m. Friday on the 1500 block of North 60th Street. When crews arrived, flames were showing in the rear of a 3-story house. One person was rescued from the home. There is no word on that person's condition.